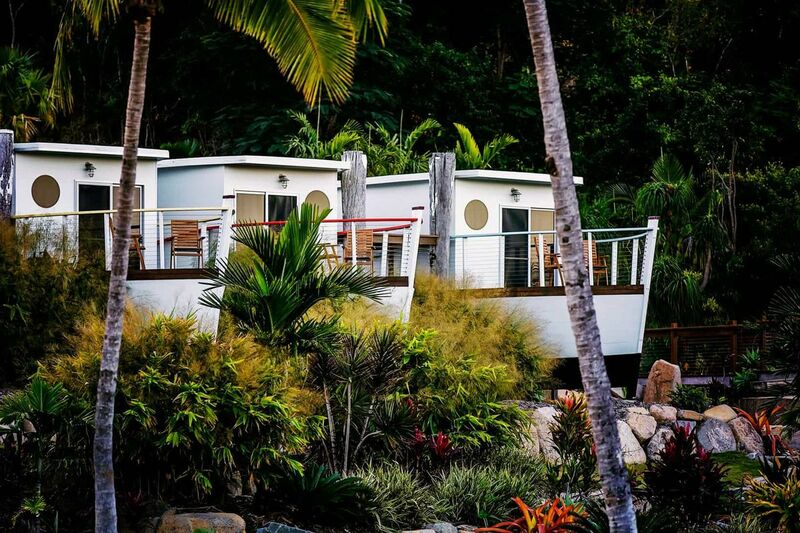 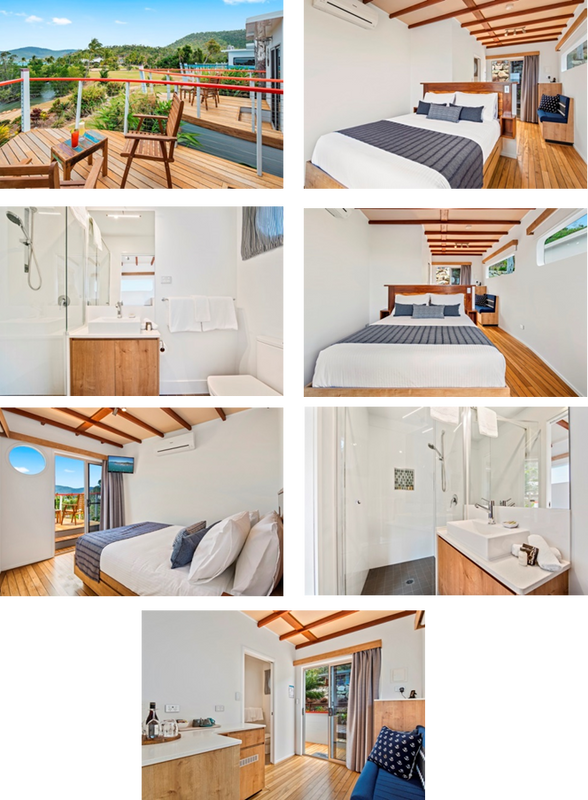 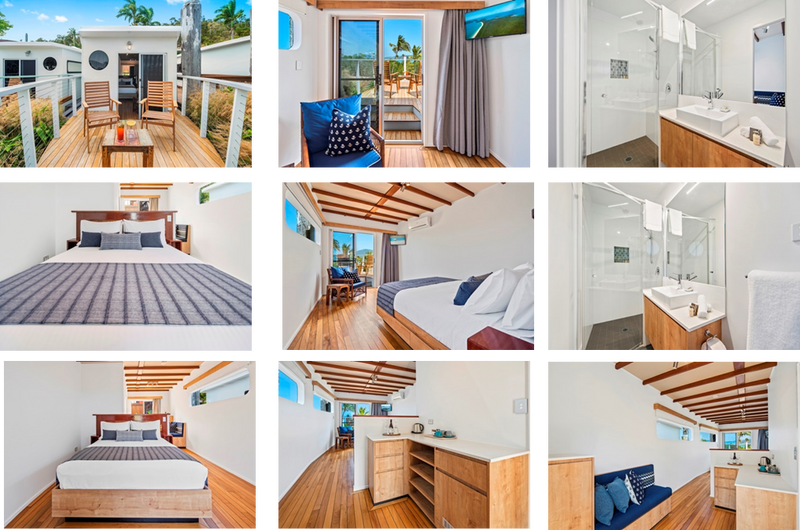 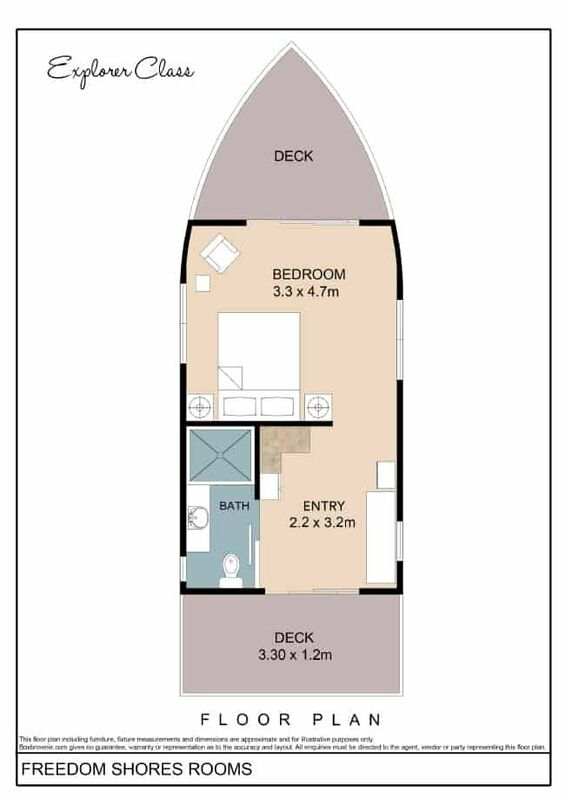 Book one of our bungalows styled as boats. 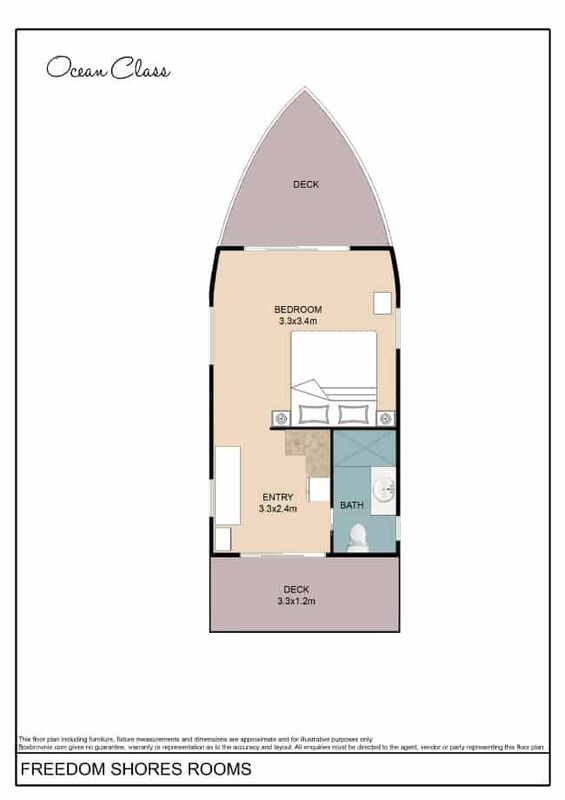 They are internally detailed reminiscent of true boats including padded headliner roofing material, relaxed seating on the deck overlooking the ocean, and fitted seating indoors. 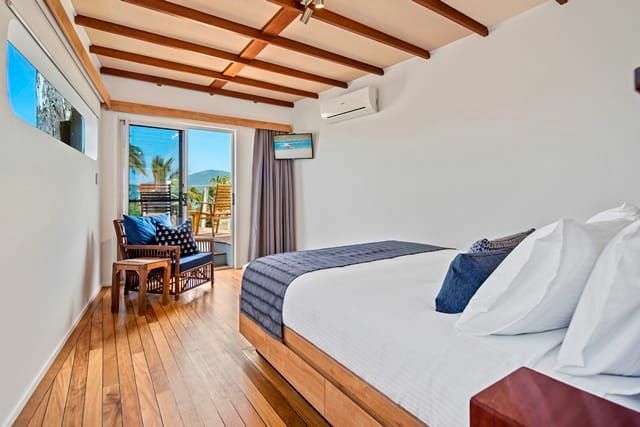 You will feel ready to sail off from our land locked marina in these beautifully appointed Queen bed rooms.